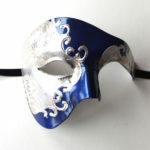 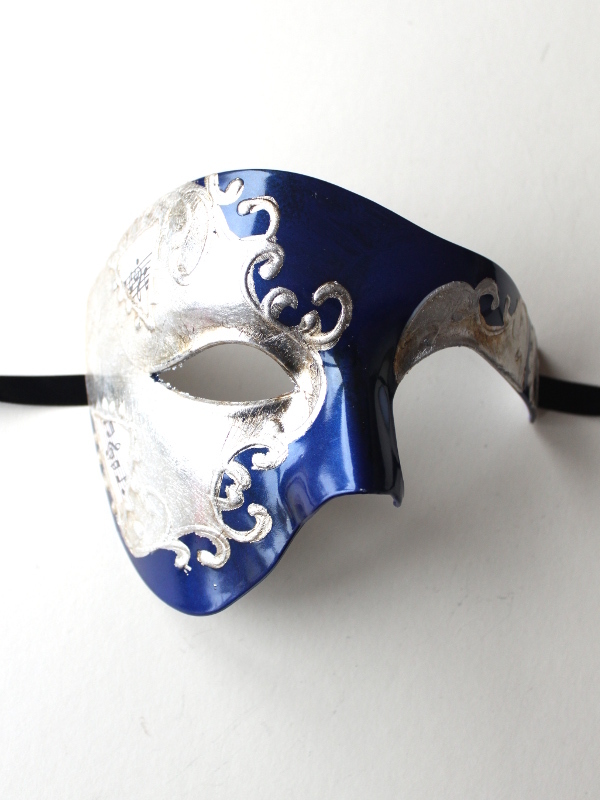 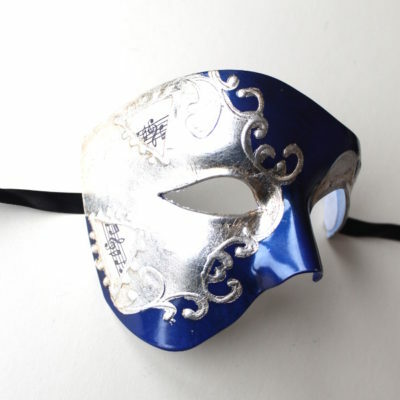 Men’s Larger sized half phantom masquerade mask in *royal blue with half silver leaf effect detail and raised swirls. 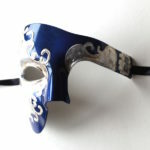 *Please note the blue colour is brighter than the image shows. 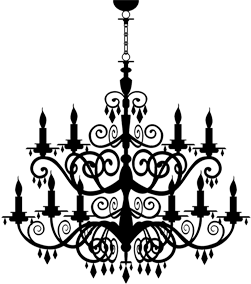 More of a cobalt/royal blue (slightly lighter than the image).